Hohulin Fence is all about adhering to best practices. That’s why we hire only the best installers to put in your residential and commercial fences. That priority makes us a leader in the fencing industry throughout Decatur and beyond. 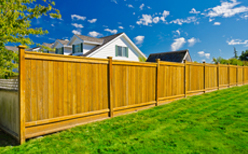 Our fence contractors specialize in both commercial use and residential use fences that range from vinyl to athletic fencing. Count on Hohulin Fence to provide the highest level of satisfaction and service in the fencing industry. That’s exactly what we’ve been doing since 1897. Interested to know more? Learn about us here. You’ll soon see we hold our technicians to the highest standards possible. We pass that peace of mind in quality and satisfaction to you, our valued customers. Based in Goodfield, rest assured we hire fence contractors Decatur IL relies on. We have a long history of excellence: Hohulin Fence has been around since 1897, established by brothers Sam, Tim and John Hohulin, sons of Gottlieb Hohulin. Another fun fact: our company was the first in the country to commercially manufacture chain link fence fabric. Hohulin Fence, a LEED-certified business, always uses recyclable products whenever possible. Plus, we hire contractors who adhere to our high standards of excellence throughout Central Illinois. 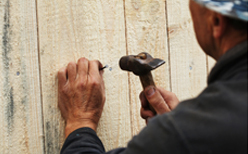 Rely on them to craft high-quality fencing, gate and railing products, including the following. Need help deciding? We serve customers in all surrounding areas beyond Decatur, such as Peoria, East Peoria, Pekin and Springfield. To learn more about the fences and other products our contractors install in Decatur IL, contact us at 309-316-1008. You can also email us at info@hohulinfence.com. We are located at 116 South Harrison Street in Goodfield, IL, so come down and visit us.